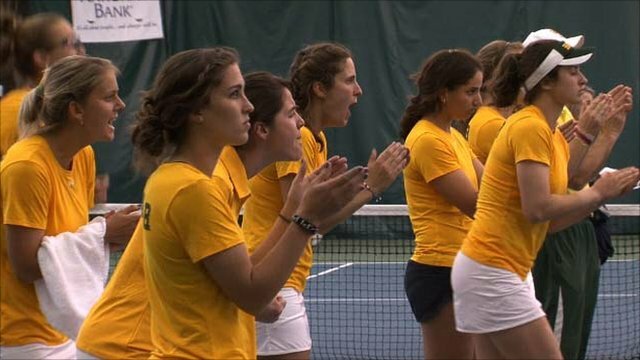 The women's tennis team at Baylor University currently sports eight foreign-born players on its roster. The team, currently ranked third in the country, recently competed at the ITA National Indoor Championship in Charlottesville, Virginia. So where does a coach find these players and how are they adjusting to American college and sports life? The BBC's Franz Strasser caught up with the 'Bears' and talked to players and coaches about this team of many cultures.